One thing that Westerners find intriguing about India is that the country, by and large, regards cows as sacred. Many wonder what the reasons for Indian Hindus not eating beef are. The rationale as to why Indians of the Hindu fold find the cow as a lovable animal and cannot even think of making it into beef burgers has multifarious dimensions. Indian poster for the movie Aahinsa, the country’s first film on the slaughter of cows. The director is Yousuf Ali Khan. Certain historians argue that ancient Indians ate beef. Archaeological excavation pertaining to the non-Aryan Harappan era in India, which dated back to 6000 BC, is believed to indicate that beef was consumed by the indigenous people. Some historians also aver that cattle were also consumed in the Vedic Age (1500 BC to 500 BC). The Rig Veda, book of hymns, composed during the early Vedic Era, however, suggests that substitutes to animal sacrifices were thought of. Often barley and rice were offered instead of slaughtering an animal. As per certain historical theory, around 700 BC, cattle were allowed to be slaughtered for ritual purposes and hospitality. However, as cows were killed in large numbers, there was a serious shortage of milk. Hence, the religious rules were changed to venerate the cow, so that the milk supply continued to flow. As the economy evolved from a hunting-gathering one to an agrarian one, the cow began to be protected rather than killed. The Athravaveda; the ancient religious book of hymns, chants and spells, later went on to say that eating even a barren cow would bring ill luck to the souls of one’s ancestors. Lord Krishna, who is considered as an incarnation of God by Hindus, lived and preached in India in the BC era and was born to a cow herder’s family. 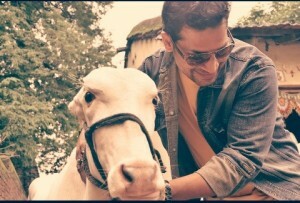 He displayed immense affection towards cows. He grew up with milk maids being his closest buddies. Traditionally, Krishna is shown playing a flute, with a cow in the background. As per Hindu mythology, the holy cow Kamdhenu, enjoys the status of a goddess and is considered as the mother of all cows. It was believed that she gave her devotees whatever they desired. Buddhism, Jainism and Sikhism; religions which originated from Hinduism; also advocate the non-consumption of beef. The Buddha who preached non-violence to all living creatures was against animal sacrifice, especially that of the mother cow. 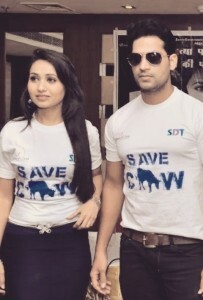 Film stars Kashvi Kanchan and Nafe Ali Khan, promotional photo for Aahinsa. The reason which triggered the historic 1857 revolt against the British was that the Indian Hindu soldiers refused to bite off the cartridges, which were made of beef fat. It is feared that eating beef or killing a cow will condemn one to hell. Not all Indian Hindus, however, refrain from eating beef. 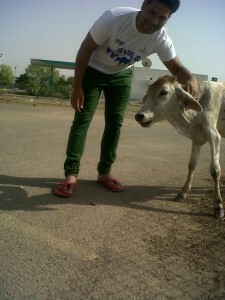 The cow is considered to be a gentle and docile animal. It has the most serene eyes. 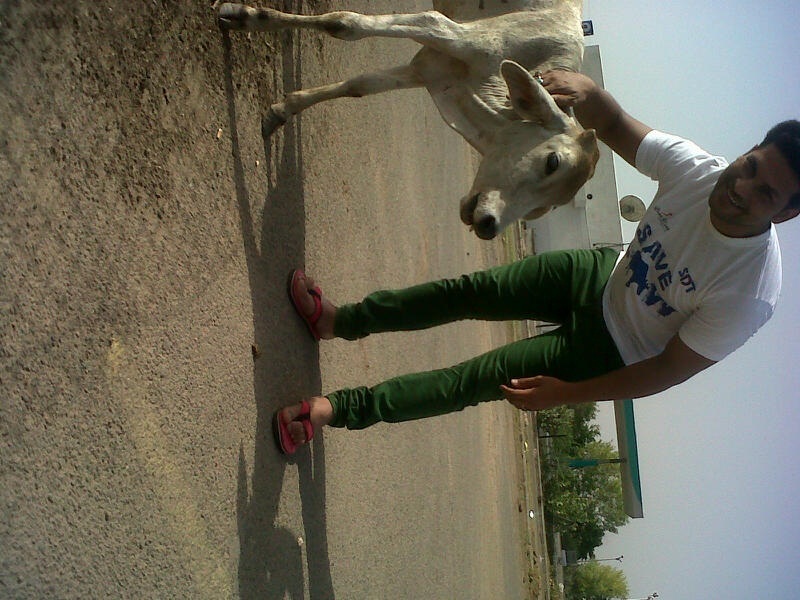 Hindus, especially those who reside in villages, are accustomed to handling this sweet and calm bovine. The cow is regarded as a beloved household pet in these homes. Can anyone ever kill a pet for providing for food on the dinner table? Nafe Ali Khan, promotional photo for Aahinsa. Those who keep milch cows and take them out daily to graze have noticed very maternal traits in the cows. For instance, while in the green fields, the mother cow affectionately lows to her calf, lovingly nourishes and fondles it. Of course all animals have maternal instincts but those who have cows as pets in India aver that the cow is one of the most motherly of all animals. The cow is seen as having maternal qualities. India’s rich cuisine boasts of a wide array of dairy products. Ghee or clarified butter, considered a super food in India, is the ingredient of many dishes and is essential in many Indian Hindu ritual offerings to God. The Indian kitchen offers curdled, non-curdled, fermented and other dairy products. Just a few of the many dairy products are paneer and channa (Indian cottage cheese), khoa (made from thickened or dried whole milk), kulfi (Indian ice cream), dahi (curd), shrikhand (strained yoghurt blended with sugar), kheer (a rice dish with milk and sugar), and many mouth watering sweetmeats. Western dairy and confectionary items are also highly popular in India. Milk and dairy products contain calcium, Vitamin B 12 and magnesium. A huge chunk of the Indian population comprises of vegetarians. As they don’t have non-vegetarian options to choose from, the many dairy products offer them varieties of food, including Vitamin B 12, which is generally provided from meat. 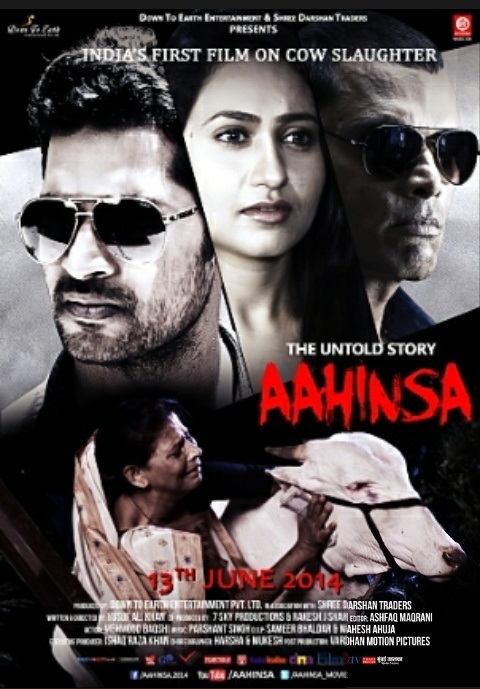 Flyer for the movie Aahinsa. Though the idea may appear to be repugnant, the truth is that cow’s urine and feces have crucial uses in India. Cow’s potty, known as cow dung, is rich in minerals and is consequently used as manure. Dung is made into biogas, which generates both heat and electricity. Cow dung, when burned, acts as a natural mosquito repellent. Dung mixed with water also helps to ward off many other harmful insects. Not all of India is a warm country. There are chilly regions too and winters can get quite cold in some places. Cow dung pasted on the walls serves as a natural thermal heater. Dried cow dung is used as firewood, thereby saving many trees. It also serves as a component in mud brick houses. Sprinkling cow urine is thought to be a spiritual cleanser in Hindu rituals. It’s also used as a floor cleanser. It acts as a natural pesticide, thereby serving as an essential component in organic farming. Cow’s urine, with neem and custard apple leaves, when boiled together, forms a bio-pesticide. Cow’s urine has many medicinal properties as per Ayurveda, the Indian medicinal system. It is believed to have beneficial effects in treating fevers, cancer, leprosy, anemia, liver ailments and asthma. As the cow is such a useful animal, it makes greater practical sense in India to keep the animal alive rather than roasting it. In fact, household wealth from time immemorial in India has been measured in the number of cows one has. Many a tragic tale has been woven around situations when one lost one’s cow while grazing or had to sell off the household cow when falling into abject poverty. So before ridiculing Indian Hindu culture for abstaining from beef, one should read the logical reasons as to why people do so. 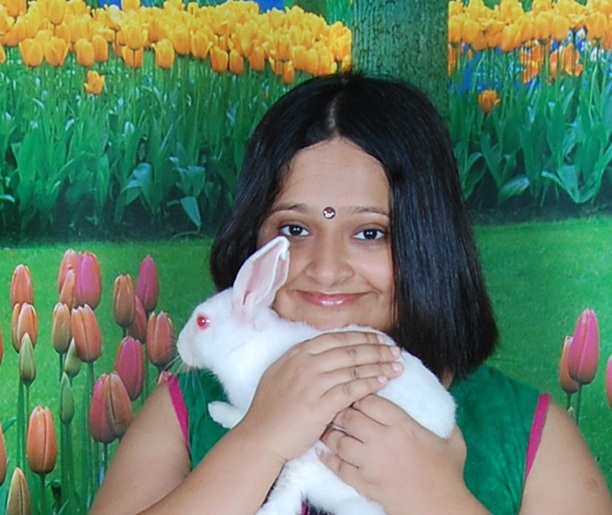 This entry was posted in Blog, india and tagged cows, india, Pallavi Bhattacharya by Joy Jones. Bookmark the permalink.